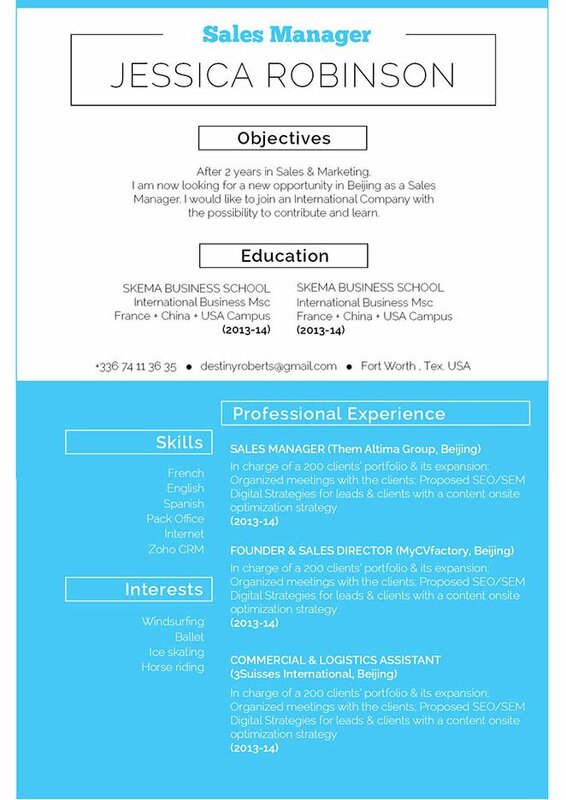 Perfect resume that highlights your skills and experience. Go go go! CV template to download "Funny"
The Funny resume uses a clean and simple design to perfectly present all your qualifcations in a very well-structured lay out. 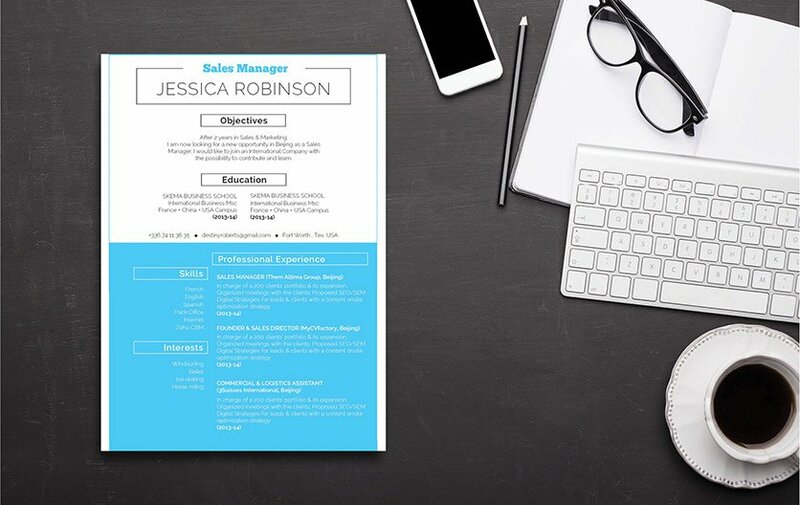 This simple resume template uses the colors of blue and white, which perfectly with each other, making each section clear and easy-to-read. Applicants who have a solid set of skills and experienced will greatly benefit from this CV as all relevant content is clearly written out. Get that dream job and choose the Funny Resume! How can you make a more effective resume? Easy! – All you need is a clear and comprehensive resume design. To achieve this, use a simple, yet professional font such as Calibri or Helvetica, select a font size between 11 – 12, and use bold/italic font faces to help guide the reader in reading your resume. Make good use of graphics, bullets, and symbols to bring attention to the key parts or phrases in your CV that need to be highlighted. And lastly, the use of wide-margins, headings, and subheadings will give your resume a logical format that is easier to follow.